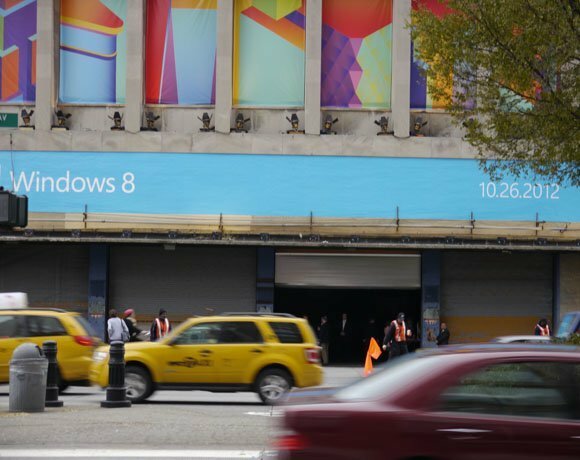 A warehouse called Pier 57, in New York was the launch pad for Microsoft latest Windows operating system. Analysts, global press, and other guests queued up for over an hour for the 1.5 hour launch event. Microsoft unveiled Windows 8, and its own Surface tablet. Major PC manufacturers demoed their latest Windows 8 tablet and hybrid devices.